Made entirely of aluminum, these U.S.P.S. 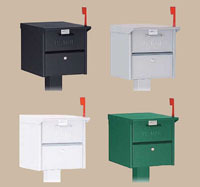 approved 4300 series roadside mailboxes feature both a front and rear access locking door. Available in a powder coated black, white, green or silver finish, each unit includes an outgoing mail tray, a lock with two (2) keys on each door (keyed alike) and an adjustable red signal flag. 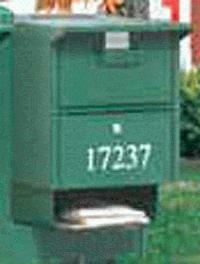 Mail is deposited through a non-locking access panel on the front. This Roadside mailbox package includes a standard in-ground post. 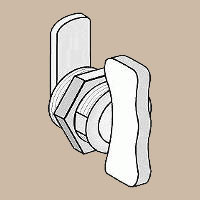 Dimensions are 12.5"W x 13.625"H x 18.25"D with a 10"w x 1.75"h incoming mail slot. Optional newspaper holders have a solid back and include mounting hardware to easily attach to mailbox post.